Sometimes people just don't know what's good for them, or are hesitant to try things that are. Whether you are talking about a child who refuses to eat vegetables, a friend stuck in a dead-end relationship, or a boss who is reluctant to invest in an intranet software platform, convincing them to make the smart choice can take persuading and a well-honed strategy. Here are six reasons employees can use to persuade their bosses to adopt intranet software. 1. The Cost of Email. Companies without social intranet software rely primarily on email to communicate. While this might seem cost-effective, it's far from the truth. An analysis from Contatta estimates that over $1.79 trillion is spent on business email per year. A sizeable chunk of these costs could be saved by reducing the inefficiencies and back-and-forth that email involves. Eliminating (or at least reducing) email saves everyone time. Take the example of a group collaborating on a proposal. In the best case scenario, you have a document management system and can link to that document in email, with remote workers accessing it through some sort of VPN. However, this is not the most common scenario. In most cases, each new version of the document is emailed to the entire team and then saved either to a local hard drive or a slew of server locations. The large file clogs up your computers and takes up space because there are so many different copies floating around. This makes it difficult for individuals to be confident that they are looking at the most recent file. Hardly an efficient process. Social intranets eliminate this mess. Any kind of file or online document (like a wiki) can be stored in one place in the intranet, without needing to jump through formatting hoops. Then people in the network associated with the project receive notifications in their activity stream when a new file or version is loaded or a wiki is created or updated. Notifying relevant team members when a document has changed requires no effort, and if you need to draw extra attention of someone in the group, use an @ mention. The "high priority" tag in email doesn't compare. In addition, intranet platforms create a complete history of the file (or wiki), which makes comparing changes and even rolling back to previous versions a breeze. You no longer need to use email during a project. Comments can be applied to the document or file, and general project updates or queries can be posted on the project wall or in a discussion thread for everyone to see and contribute to. If you're working on a project with external partners, it's awkward to give them access to your internal files, so you're stuck emailing them. With a social intranet, you can give these partners access to only the groups they participate in. They will receive all updates on the project and can contribute according to the permissions you give them. They also will not see anything they shouldn't see. This enables you become more intimate with partners without the associated risks. Beyond the communication itself, social intranets also reduce the time spent (or wasted) sorting through email, deleting stuff you don't care about, and acknowledging receipt of items you do care about. Another drawback of email is that it leads to large knowledge gaps, which can have serious consequences. Updates are frequently lost in email among junk mail, and it's not easy to access and search information from email. In contrast, social intranets come with robust search functionalities with lots of helpful filters, which not only take advantage of the content itself, but also of any appropriate tags applied to the content. Even without search, content is easier to find in a social intranet because all content associated with a project is in one place, all together, just where you'd expect it to be. Email is also more prone to human error, since the right people are often not included on emails they need to be included on, or who might benefit from the information or have information to share in response. There is no way for them, or new people to the team, to access information stored in other people's email inboxes. Social intranets provide a better solution to this long list of email-related problems. Information shared in a social intranet becomes part of a knowledge base, which is invaluable to new employees. 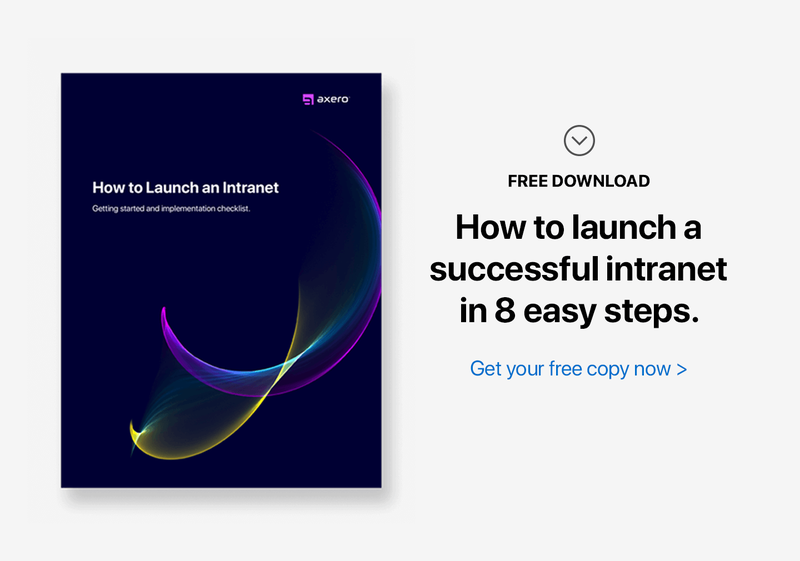 Instead of each new employee having to ask the same set of questions over and over again, either by email or in person, they can find the answers they are looking for in the social intranet. Expertise is transferred from veteran employees without requiring a coordinated effort. This means that new employees have ready access to information, which results in significant savings in training costs, experts' time and the ability to get new employees productive faster. 2. The Costs of Meetings. 73% did other work (which may actually be the most productive use of meeting time). The reality is that time spent in meetings is much better spent getting work done at your desk. By enhancing communication and collaboration, social intranet platforms cut down on the need for meetings. They enable people get up to date and contribute asynchronously at the degree of participation that makes sense to them. Employees can read the latest updates, review the latest documents, and comment anywhere with their unique perspective any time of day or night, whenever it suits them. As a result, meetings become unnecessary relics of the past, freeing up that valuable time. 3. The Costs of Searching for Information. According to a McKinsey report, employees spend 1.8 hours every day—9.3 hours per week, on average—searching and gathering information. In other words, businesses hire 5 employees but only 4 show up to work -- the fifth is off searching for answers, but not contributing any value. 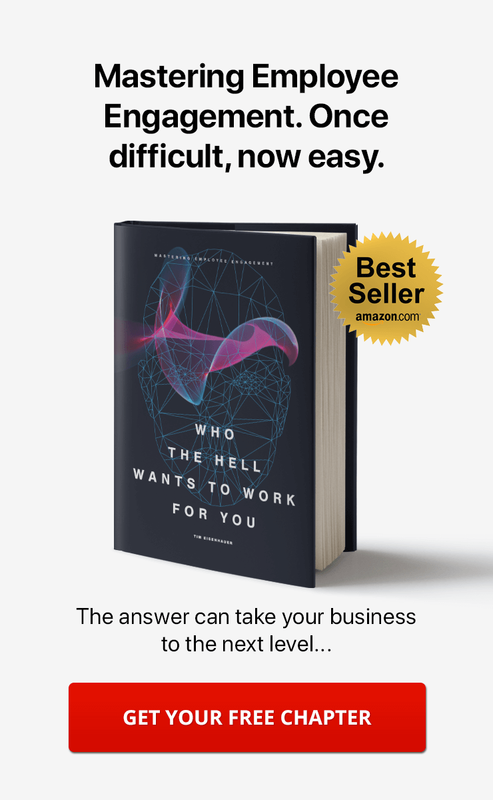 "The knowledge worker spends about 2.5 hours per day, or roughly 30% of the workday, searching for information….60% [of company executives] felt that time constraints and lack of understanding of how to find information were preventing their employees from finding the information they needed." Tracking down information can be a laborious process. Files for projects that span multiple departments might reside in any of the directories for those departments, with little security on who in those departments can view them. Finding files in department silos is tricky, time consuming, and resource intensive. 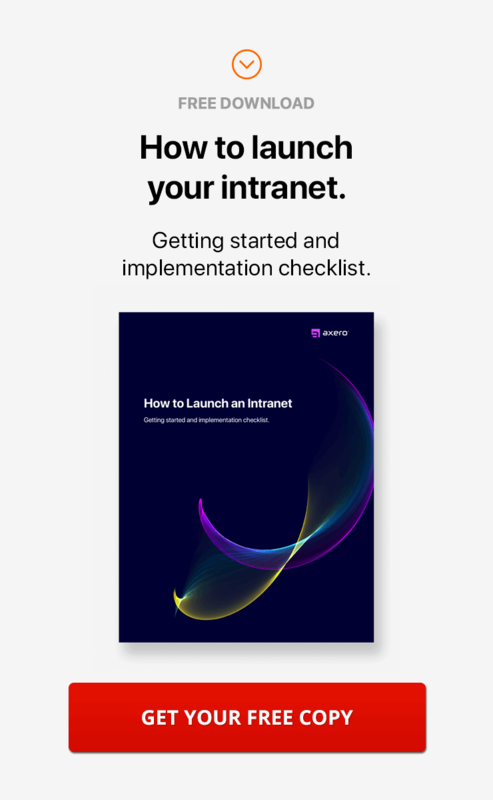 A social intranet platform places all files, discussions, and online documents for a project in one place, which makes finding them intuitive and quick. The robust search capabilities of social intranets work for you, rather than against you. Commonly used forms rise to the surface in a social intranet, standing out by "most viewed" or "highest rated" without any effort to guess which files might be most important. The crowd takes care of all the heavy lifting for you. 4. The Costs of Internal Corporate Communications. An SMB communications study found that poor internal communications cost businesses $26,041 per employee per year in lost efficiency. Poor communication has other consequences as well. For example, CEB revealed that lackluster communication during times of change (such as during layoffs) increases misconduct by 42%. Without a social intranet, communicating with the entire organization is a challenge. There are no good options. As explored above, email is far from ideal, meetings are not effective, and paper memos are a thing of the past. If your company wants to communicate with the whole team regularly, it will quickly wear out its welcome. The better approach is to adopt a social intranet and establish a homepage (like the image below) that serves as a community resource -- with the latest news items and/or access to the most valuable files (perhaps by department). This gives you a platform to share news and views with your employees. 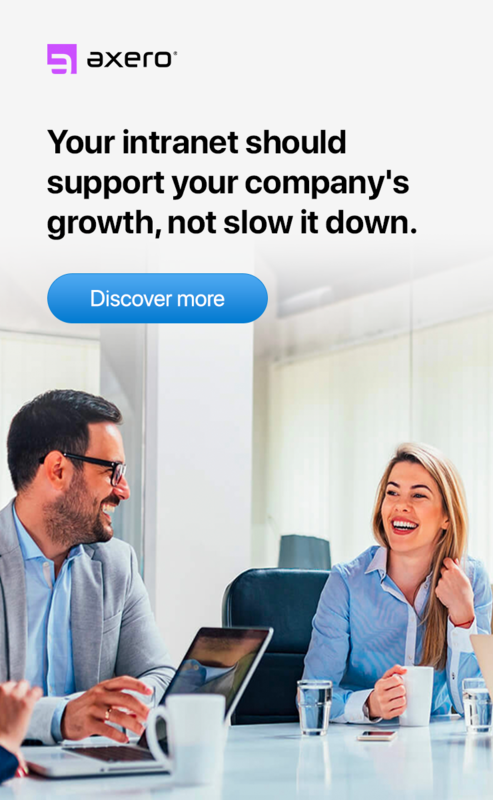 In addition, social intranets provide you a clear channel to connect with the team and set priorities. Leaders can write blog posts and articles to stimulate discussion with a level of interaction that is not practical through email. People will feel comfortable commenting on a blog more readily than hitting "Reply to All" to share an idea with the CEO directly. Anyone can join the conversation easily or "like" content ... and as employees endorse your message, this makes it more relevant and compelling to other employees. The impact is amplified. All this feedback also provides insight into what content resonates best with people, which is valuable feedback for an organization. 5. The Costs of Customer Support. Social intranets can be used to communicate with and support customers. You can use the same platform that you use to work and collaborate internally to handle questions from customers and let them know that their queries are heard. Social intranets also allow you to collaborate with customers on projects, giving their team access to a shared group just like you would with partners. Notifications of issues pop up immediately right where you are working, and by responding quicker to customers, you make them feel you are part of their team. All of the above benefits (and I could come up with more) need to be balanced against the cost of a social intranet. Costs and functionality vary dramatically from vendor to vendor. With some providers, you can easily drop $50,000 - $100,000 per year for a medium-sized, out-of-the-box implementation. However, if you look in the right place, you can find full-featured solutions that max out at $10,000-$20,000 per year, and which cost even less for lower user counts. This price point is much easier to justify to your CIO or higher-ups. Need help in justifying this cost? Email me here.